Nashville hospitals are bringing the latest in cardiac care to Middle Tennessee. Below is a brief roundup of some of the recent news of note. TriStar Health's Annual Cardiovascular Symposium is set for March 2, 2018 at the Music City Center downtown Nashville. The event takes place from 8 am - 4 pm. Attendees will learn about the latest advancements in cardiac care including heart failure, electrophysiology, cardiogenic shock, structural heart disease, cardiovascular surgery and more. Register online at: https://tristarhealth.com/medical-professionals/cme-programs/cardiovascular-symposium.dot. It's a good time for cardiology at Saint Thomas Health, where their heart transplant program re-launched in 2016 following a hiatus. The program also is participating in more than 15 clinical trials related to cardiovascular health and operates a thriving aortic program. Cardiologists at Saint Thomas Heart are now implanting the Full MagLev HeartMate 3 Left Ventricular Assist System. The HeartMate 3 LVAD system provides a new option for physicians managing advanced heart failure patients in need of short-term hemodynamic support (bridge-to-transplant or bridge-to-myocardial recovery). The HeartMate 3 also provides patients living with their device new benefits that embody the evolution of LVAD therapy. It is the first device to receive FDA approval that is fully magnetically levitated, meaning the blood-pumping rotor has no bearings and is floating in a magnetic field. This makes the device more resistant to heat generation and thrombosis due to the design. Its predecessor, The Heartmate II, was the first continuous flow LVAD that commercially approved and is the device that made long term mechanical support a reality. Both Saint Thomas and Vanderbilt participated in the clinical trials to evaluate the safety and efficacy of HeartMate 3. Staying a beat ahead, TriStar Centennial Medical Center recently completed Middle Tennessee's first procedure utilizing the Tryton Side Branch Stent to treat a coronary bifurcation lesion involving a large side branch 2.5 mm or greater. The procedure was performed at TriStar Centennial Heart and Vascular Center led by Paul Myers, MD, in collaboration with Jeffrey Webber, MD, interventional cardiologists with Centennial Heart. "TriStar Centennial is a national leader in cardiovascular care, utilizing the latest heart stent technology to treat high-risk cases of coronary artery disease," Myers said. "This innovative and comprehensive approach allows us to treat patients with complex and high-risk blockages that involve arteries with important larger branches off the main heart artery." TriStar Hendersonville also recently introduced the Tryton Side Branch Stent procedure to its comprehensive list of cardiac disease treatment options. From electrophysiology to advanced treatment for valvular disease, Vanderbilt University Medical Center (VUMC) is expanding its cardiology services and medical staff to reflect the latest treatments and research available. VUMC was recently recognized as the second busiest heart transplant program in the nation, falling just behind Cedars-Sinai Medical Center in Los Angeles. 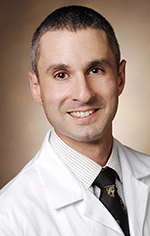 "We're continuing our positive evolution on campus as a world leader in heart transplant surgery," said cardiologist Daniel Munoz, MD, MPA, assistant professor and medical director for quality in the Division of Cardiology at Vanderbilt. In 2017, 82 adult hearts were transplanted at Vanderbilt, with survival rates higher than the national average. "Our volume has grown tremendously in part to our leadership and the outstanding clinicians we've been able to recruit, but we're especially proud of the quality of our services and the chance to care for the most medically complicated cases," Munoz said. VUMC is also taking its arrhythmia program to the next level with recruitment of internationally recognized electrophysiology cardiologists. Recent newcomers include William Stevenson, MD, and Gregory Michaud, MD, who serves as director of Arrhythmia/Electrophysiology in the Department of Medicine. Both specialists were recruited from Brigham and Women's Hospital at Harvard Medical School. "This is an already great program positioned to become a preeminent program thanks to Dr. Michaud's leadership," Munoz said. "One of the key challenges in ablation of atrial fibrillation is that not all procedures are equally successful, so it's really important to continue to understand best techniques to makes ablation as successful as possible." 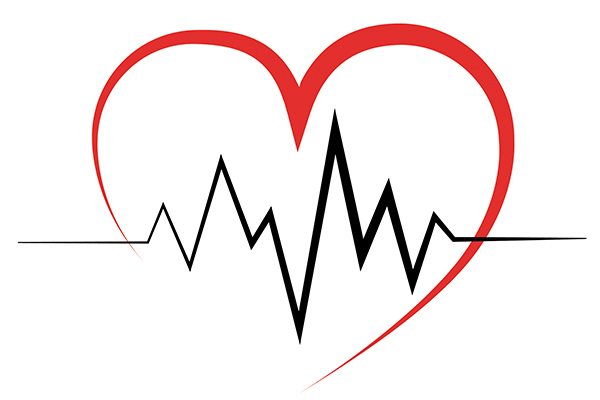 Another area of focus for Vanderbilt is the treatment of valvular heart disease. "We're increasing the number of technological options for treatment of heart disease," Munoz noted. "Open-heart surgery remains the best option for certain patients; but over the past decade, catheter-based treatment of valve disease has emerged. We're trying to understand which patients benefit the most from these technologies and create a partnership between clinical services and researchers to understand not just how to do something but the best way to do it for the benefit of as many patients as possible." Vanderbilt has also continued to be on the leading edge of clinical research, having received three Strategically Focused Research Network grants from the American Heart Association designed to focus on disease prevention, obesity and vascular disease.